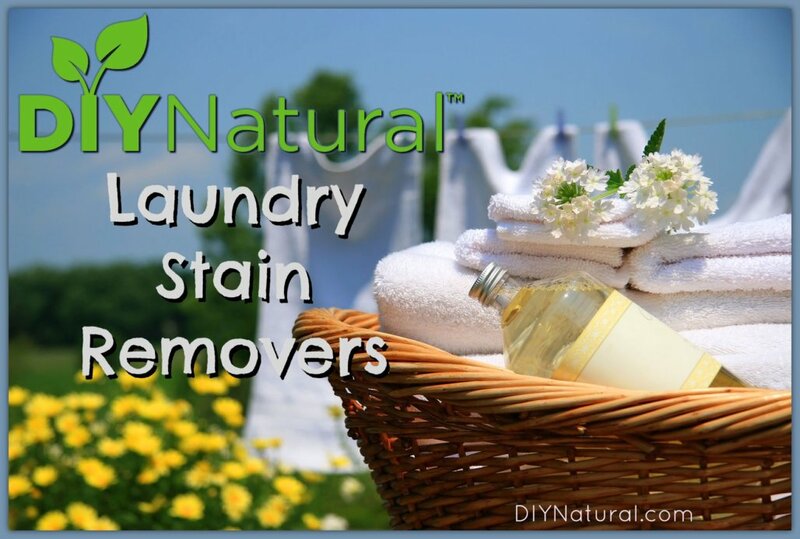 These 5 natural DIY stain remover solutions, made easily using just a few natural household ingredients, help you fight common laundry stains naturally. Any household laundry routine is a little better off with some good DIY stain remover techniques. Whether you have pets, kids, enjoy being outdoors or are a little clumsy during meals, you’re bound to wrestle with stains from time to time. The laundry aisle in any major store is full of different stain removal products to treat pesky laundry stains. And while most of them work very well, they are also known to contain ingredients with potential for negative health effects. Among these effects are developmental, endocrine, and reproductive problems. Many of the commercial products are also full of artificial fragrances which can cause respiratory effects, skin irritations, or nervous system effects. 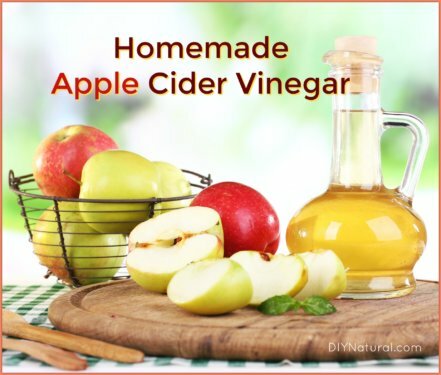 For a DIY-er who is concerned with ingredients in every product I use, I’d prefer to use a more natural DIY stain remover. I’ll give you simple techniques for five tricky laundry stains you may encounter, and I’ll also suggest some all-purpose options we like. 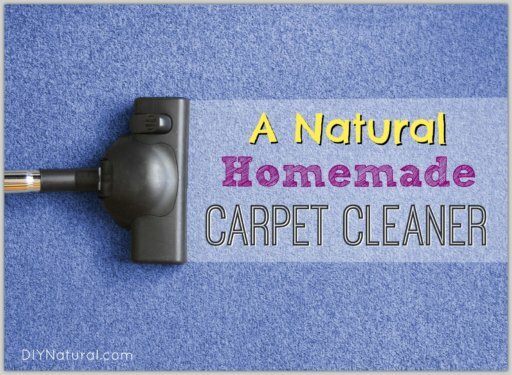 A few natural household ingredients and a few simple steps will fight some common stains that can generally be problematic. Note: Keep in mind that sometimes it’s best to allow stained garments to air dry after washing them. That way, if a stain remains you can continue to work on it and it won’t be set in by the heat of the dryer. Rinse stain with cold water. Rub a bar of white soap (like this homemade laundry bar) onto the stain. Work soap into stain vigorously, and rinse again with cold water. Launder as usual or layout to dry if the stain is completely gone. Apply salt to the stain and lay over a bowl. (I use kosher salt.) Pour boiling water over the stain until it disappears. Launder as usual. Gently brush off any loose dirt. Pretreat with your normal laundry detergent. (If you use powdered detergent, add water and work it into the stain.) Allow it to sit or throw it directly into the washer. Lay the garment on a clean rag or piece of paper towel. Blot stain with alcohol. (I use a high proof grain alcohol like Everclear, but you can also use rubbing alcohol.) The stain will begin to transfer to the rag or towel underneath it. 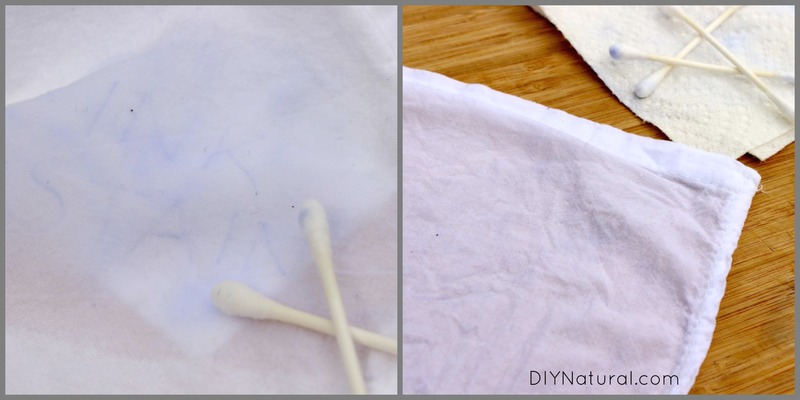 Continue blotting with this DIY stain remover until the stain is very faint. Rinse and wash as usual. In a small bowl, combine 2 tablespoons cream of tartar, a few drops of lemon essential oil, and enough water to make a paste. Mix and spread the paste over the stain. Rub it in, and allow to dry before washing. You can also use hydrogen peroxide (3%) as a DIY stain remover for sweat. Pour or spray directly onto the stain and allow to soak for 30 minutes. Launder as usual. If you’re looking for an all-purpose DIY stain remover to keep on hand, we have a few things we use. 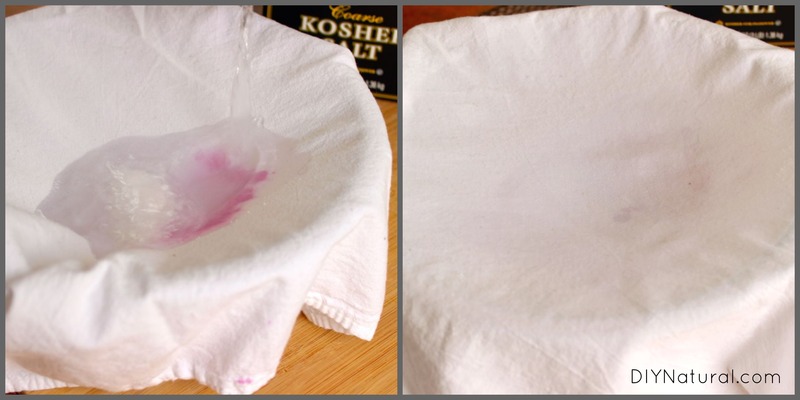 Homemade Laundry Bar: This is an excellent DIY stain remover. After making them, we cut them into sticks so they’re easy to rub on stains right before laundering. I always keep one in the kitchen (to use on food stains that occur while cooking or eating) and one right next to the washing machine. Find the recipe and instructions for this laundry bar here. Soap Nuts Concentrated Cleaner: If you’re already using soap nuts for your laundry or to clean the rest of your home, chances are you’ll have extra soap nuts with which you can make a concentrated cleaner. You can keep a small amount in the laundry area and treat stains with it. (It actually goes bad after a few weeks, so you don’t want to store large batches.) Don’t know what soap nuts are? Read more here and see our recipe for a concentrated cleaner. Homemade Powdered Laundry Detergent: Our homemade laundry detergent also works beautifully to treat a multitude of stains. I simply sprinkle it directly on a stain and work the detergent into the stain with a wet toothbrush. (Of course, the toothbrush is designated for laundry only.) Find our homemade laundry detergent recipe here. Have you used any of these DIY stain remover tricks? What are your favorite ways to beat stains? For blood I use the hottest water my hands can tolerate. Stretch material to let water flow through. Then add either hand or dish soap to area and rub together. Hydrogen Peroxide works good too. Are you talking about cooking oils or engine oil? Eeek…turmeric is a tricky one…it has stained our countertops before. I haven’t had a turmeric stain on clothing though, so I haven’t tested this one out. Can anyone else jump in here? Try hanging it outside on a warm sunny day. Turmeric is the main coloring in yellow mustard, and this trick worked for me even after it had been through the dryer. Liquid dish soap or a bar of laundry soap, rubbed in and allowed to sit for a while. Rinse and repeat if necessary before washing. As a phlebotomist and the mother of accident prone children, I can vouch for the hydrogen peroxide trick. 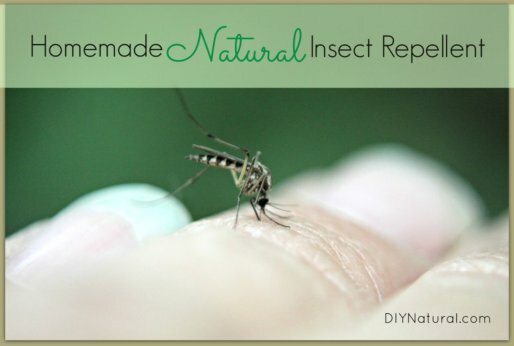 It’s the most effective blood remover I have found, and that includes chemical pre-treaters. It is difficult to remove stains of ball pen even with alcohol or acetone. How these can be removed? How about getting grease stains out? Hydrogen Peroxide has worked on blood stains. Hair Spray has worked on ball point pen ink stains. I use these quite frequently. I’ve used rubbing alcohol to get ink out of shirts. It really works 100%. You must be patient though. I didn’t blot (I will next time.) I put the shirt it the sink with the ink stain in the center and poured on the alcohol so that it pooled up on the stain. I had to reapply several times over a period of several hours, but finally all the ink was gone. Like magic. Thanks Betsy for the great tips. On blood stains I have used hydrogen peroxide to remove them if I wasn’t able to get to them immediately and it has worked out great for me. Hey Betsy ~ Do you have any suggestions for getting base face make-up out of towels? Clinique, Mirabella, and Jane Iredale all stay in the towel. Thank you. Hmmm…can’t say that I have an answer for this one, as I’ve never used foundations. Can anyone else give advice on this??? I have a friend who says she just uses dish soap that has the super duper grease cutting abilities, rubbing a thick concentration in and letting it dry, and then washing as normal. 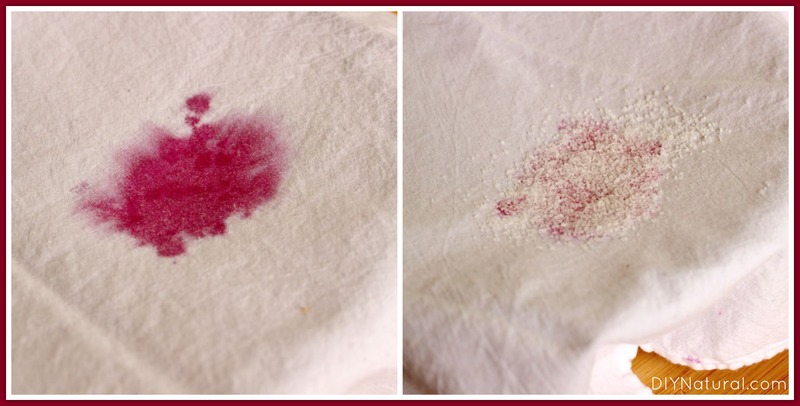 Blood stains (even old ones) are easily removed by blotting with hydrogen peroxide…let it bubble, then blot, & repeat. Afterward, you wash the item on a cold setting. Yes! I find that it doesn’t work as well if you have tried washing the garment and they using the Hydrogen Peroxide, but it gets out ones that are well and dried! It sounds gross, but I got my sheets/pajamas bloody once and didn’t really have the time to sit down with them at the time. So, I just set them aside till the end of the week and the Hydrogen Peroxide got it ALL off beautifully. Trying to get henna stain from a polyester garment. Have tried using a laundry bar and just straight detergent. A little bit came out but since the fabric is white, it is too noticeable. Any suggestions? it has not been in the dryer so we can still work with the stain. This is a stain I would definitely try sun “bleaching.” Put it in the sun for as long as you are receiving direct sunlight on a given day, and then try washing again. Repeated exposure may be necessary but this method works for coffee and tea. Sunlight doesn’t just clean–it also disinfects. Another great argument for having clothes lines. This technique works best in summer. I hate it when ketchup and spaghetti stains happen in cooler weather, as it takes longer for them to disappear. I remove blood stains by soaking in cold water for a few minutes to an hour and then washing the item in the warmest water the fabric will tolerate. I remove coffee and tea stains by laying or hanging the garment in the sun for an hour or two and then washing as usual. 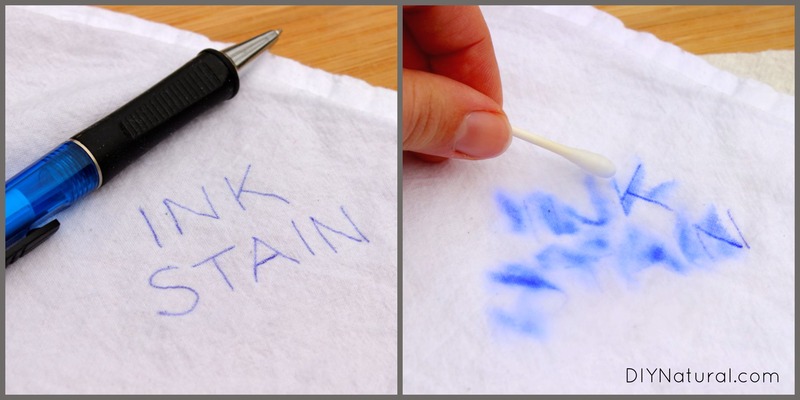 Ball point ink is easily removed using a short spot scrubbing with warm soapy water. A good all purpose stain remover is saliva. Just rub saliva into the stain and let your natural enzymes do the work. Yes, saliva; you beat me to it. I’m a seamstress and if I stick my finger and bleed on a project, I use my own saliva to remove it. Any number of brides have no idea that I bled on and then spat on their dress. *lol* NO need for them to know. Your own protein gets out your own protein. I’ve had good luck using (vegetable) glycerin to remove coffee stains from a white shirt. I dampened the garment, then applied glycerin with a q-tip and pressed it in gently, then rinsed it out. Great tip Jennifer! I’ve never used glycerin to remove stains – I’ll have to test that one out! Hello, thank you for your informative DIY tips. I have a question about soap nuts. I bought some but wonder, does the soap get rinsed out in te rinse cycle? It seems to me that because the soap nuts remain throughout the machines cycles, some of soap would always remain. Have fun using your soap nuts!